Kent G Leavitt MD PLLC (Bellevue) - Book Appointment Online! 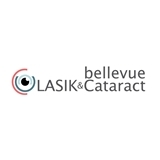 Since 1991 Bellevue LASIK & Cataract has focused on providing the highest quality vision care with safety as our governing principle. We provide full vision care to ensure that you receive the correct treatment for your unique pair of eyes. Our doctors will not approve you for a vision procedure unless you are an excellent candidate and have the right vision characteristics to support the procedure. This helps to minimize complications and ensure the best outcome. While we have had an impressive number of patients put their trust in us over the years, our focus is always on the person. You’ll never feel “like a number” when you come to us for any vision need…from LASIK or cataract surgery to routine eye exams and eye disease management. Dr. Kent Leavitt and Dr. Christina Farag are ready to be your vision care providers for life.